US President Donald Trump said on Sunday he wanted to keep his military presence in Iraq in order to "monitor Iran." "I want to keep the military presence in Iraq to watch Iran," Trump said in an interview with CBS television. A member of the Committee on Security and Defense parliamentary Badr Zeyadi, on Sunday, to hold a high security meeting chaired by Prime Minister Commander-in-Chief of the Armed Forces Adel Abdul Mahdi to discuss the issue of US military presence, noting that the government is taking a silent position on the US presence. Al-Zayadi said in a statement to Al-Maaloumah that "one of the priorities of the Commander-in-Chief of the Armed Forces is to hold an expanded meeting with the Joint Operations Command to discuss the issue of American expansion inside Iraq," noting that "the government is taking a stance of silence about the American move inside Iraq, Command ". He called on the government to "inform the House of Representatives about what is going on, and the issue of the US withdrawal from Syria and the presence of US forces within the military bases." US President Donald Trump revealed Sunday, the existence of an incredible and expensive in Iraq , aUS military base, as pointed out that US forces will monitor Iran from this rule. "We have an incredible and expensive military base built in Iraq and it is in a very ideal place to look all over the Middle East," Trump said in an interview with CBS Nation's "Face of the Nation" program. Troubled Middle East rather than withdrawing. " "What many people do not understand is that we will continue to watch and we will continue to see, if there is a problem or if someone is looking to build nuclear weapons or other things, we will know that before they do it," he said. Asked about the assertion by all intelligence chiefs that Iran remains committed to the nuclear deal, Trump explained: "I disagree with them, yes I have people in the intelligence, but that does not mean I agree with them in everything they say." considered the first deputy speaker of parliament , Hassan Karim al - Kaabi, Sunday, what thepresident said the US president about the extension of the US presence in Iraq and justified by monitoring the neighboring countries, as a violation flagrant and blatant sovereignty and a flagrant violation of the Constitution, as he emphasized that Iraq would not be a springboard to attack or Monitor any country. "Once again, Trump goes beyond the legal and constitutional custom of the Iraqi state after his previous visit to the base of Ain al-Assad," al-Kaabi said in a statement. He stressed that "everyone is responsible for the urgent action to end the US presence and not to allow Iraq to be launched to launch aggression or control of any state." Al-Kaabi confirmed that "the House of Representatives will work during the next legislative term to enact legislation that includes the termination of the security agreement with America, as well as ending the presence of trainers and advisers American and foreign military in Iraqi territory." Earlier on Sunday, Trump said in an interview with CBS News that "America has an incredible military base built in Iraq and is in a very perfect location. To look across the restive Middle East rather than withdraw from Iraq. " 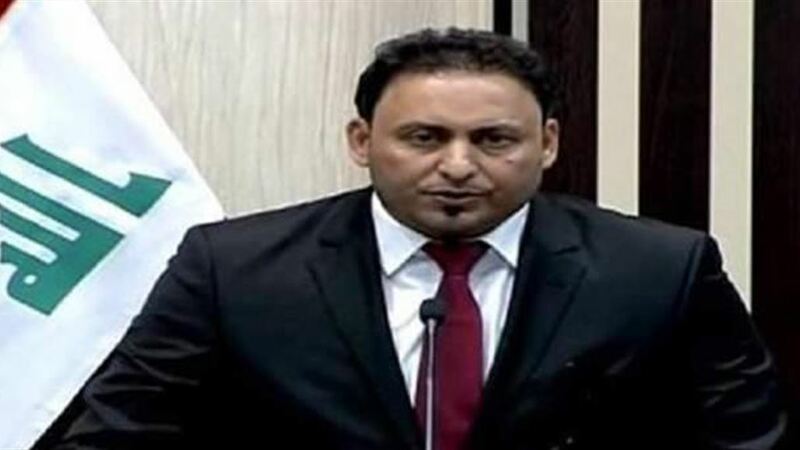 Deputy Speaker of the House of Representatives Hassan al-Kaabi on Sunday confirmed US President Donald Trump's statement that his troops would remain in Iraq, saying that US forces and advisers would be removed by law and national will. "We deplore US President Donald Trump's statement on the extension of the US presence in Iraq and justify it by observing the neighboring countries," al-Kaabi said in a statement received by Alsumaria News, a copy of which he said was "blatant violation of sovereignty and national will and flagrant violation of the Iraqi constitution, To attack any country. " "Once again Trump goes beyond the legal and constitutional custom of the Iraqi state after his previous visit to the base of Ain al-Assad, where he came to us today with another provocation statement confirming the survival of US troops inside the country to aggression on a neighboring country," stressing that "everyone is responsible for urgent action to end the US presence and not allow That Iraq be a launching pad for aggression or control of any country. " Al-Kaabi pointed out that "Iraq will not be the starting point to strike or control any country, and everyone to move to end the US presence," addressing Trump, "We will get out your troops and your advisers by law and national will." He stressed that "the House of Representatives will work during the next legislative term to enact a law that includes the termination of the security agreement with the United States, as well as ending the presence of trainers and advisers American and foreign military in Iraqi territory." US President Donald Trump on Sunday expressed his intention to keep his troops in Iraq, saying the aim was to monitor Iran. Iraqi parliament speaker Mohamed Halboussi on Monday confirmed a parliamentary request signed by 52 deputies to determine the date of the bases and the US presence in Iraq. Al-Halbusi said during a dialogue session of the Rafidain Forum held in Baghdad and attended by Al-Ghad Press that he "submitted a request of 52 deputies to determine the date of the survival of the bases and the US presence in Iraq." "The question will be addressed to the commander-in-chief of the armed forces on the number of military forces and bases in Iraq," he said, noting that "Iraq is not ready to re-experience the wars, and we must take decisions at the time of stability, and our relations with all positive Arab, regional and international."